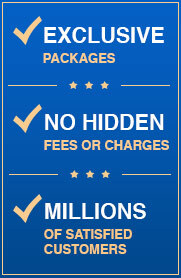 At the historic Court of Two Sisters, you'll discover more than an acclaimed menu and impeccable service. You'll find historic ambiance in one of the most famous courtyards in one of the French Quarter's most historic buildings. 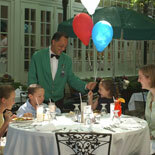 Awarded: Best Dining - Gold Award, Best Outdoor Dining, Best Breakfast / Brunch. New Orleans is a destination for food, history and music. The Court of Two Sisters offers an authentic blend of all three with a reputation as one of New Orleans' premier restaurants. The picturesque old-world courtyard with its gardens, gas lamps and flowing fountains add to the unique history of this French Quarter building. 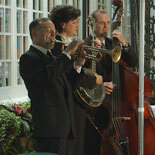 They are proud to be the only historic restaurant in New Orleans to offer a Live trio playing real New Orleans jazz 7 days a week during this world-famous Daily Jazz Brunch. The Court of Two Sisters Live Jazz Brunch offers a sumptuous display of 60 hot and cold authentic Creole dishes. Because they use only the freshest ingredients, the buffet's selections change according to season and time of day. Eggs Benedict or Seafood Omelets available every day. 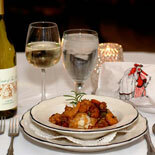 Any visit to New Orleans would not be complete without dining at The Court of Two Sisters. Get your eTicket and be entertained in the largest romantic courtyard in the French Quarter along with a memorable dining experience! Daily from 9:00 am-3:00 pm. Blackout dates for this rate: Jan 14-16 (MLK Weekend); Feb 18-Mar 1 (Mardi Gras ); April 6-9 (French Quarter Fest); May 14 (Mother's Day); May 20-21 (Tulane Grad weekend); May 13-14 (Loyola Grad weekend); May 27-29 (Memorial weekend); June 18 (Father's Day) July 1-5 (Essence weekend); Nov. 24 (Thanksgiving) and Dec 25-Jan 2, 2019 (Christmas Holidays). 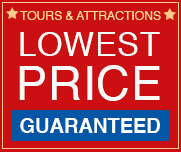 Vouchers not valid for Brunch with Santa in December. Toulouse St. and Royal St.
Child age: 5-12 years old. 4 and under are free. Awarded: Best Dining - Gold Award | Best Outdoor Dining | Best Breakfast / Brunch. (Results of WHERE New Orleans, the city's premiere visitor magazine, survey of thousands of national and international guests). 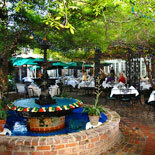 Awarded: New Orleans Magazine 2001 Reader's Choice ~ Best Outdoor Dining.